Submitting an application does not guarantee approval or approval of the exact dates and times requested. Your schedule is not confirmed until you have received an official permit from Brooklyn Bridge Park. Permits are not issued as renewals and consistent schedules are not guaranteed from season to season for previous permit holders. Applications may take up to 21 days to process after the window to apply has closed. Please keep these details in mind before planning your season. It is only possible to apply for a seasonal, recurring athletic permit during the following dates. Late applications are not accepted. Brooklyn Bridge Park does not send deadline reminders. All athletic permits are required to provide insurance. Please see the main permit page for details. Additional fees apply after your application has been submitted for groups over the age of 18. 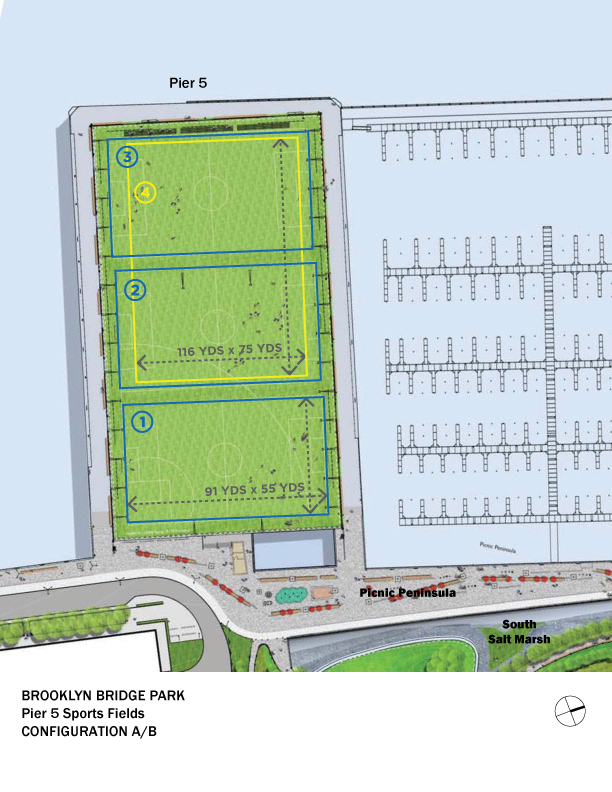 The Pier 5 Fields may be reserved for sports including, but not limited to: soccer, rugby, field hockey, lacrosse, and flag football. These fields are intended only for sports that would ordinarily be played on a rectangular, turf playing area. Do not apply for sports such as baseball, softball, kickball and/or other sports not customarily played on a rectangular field configuration. 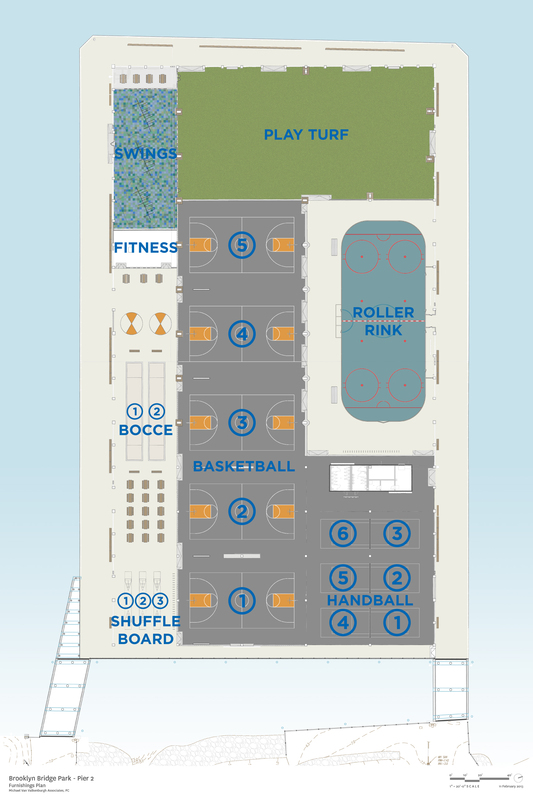 The Pier 2 Courts may be reserved for the following sports: basketball, handball, bocce and ping pong. The Pier 6 Volleyball Courts may be reserved for volleyball only. Tents and tables are not allowed to be brought into the park. No signage (flags, flyers, banners, etc.) 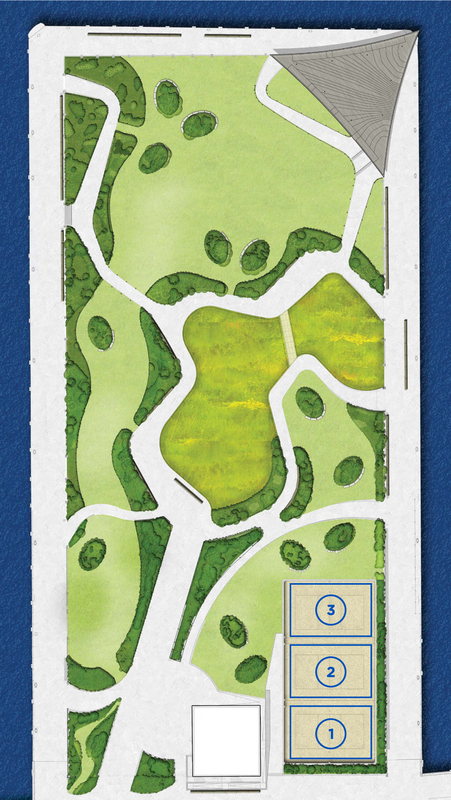 may be posted in the park. Athletic permits do not cover parking. Brooklyn Bridge Park does not offer parking permits. Lockers are available on the piers with use of your own lock.